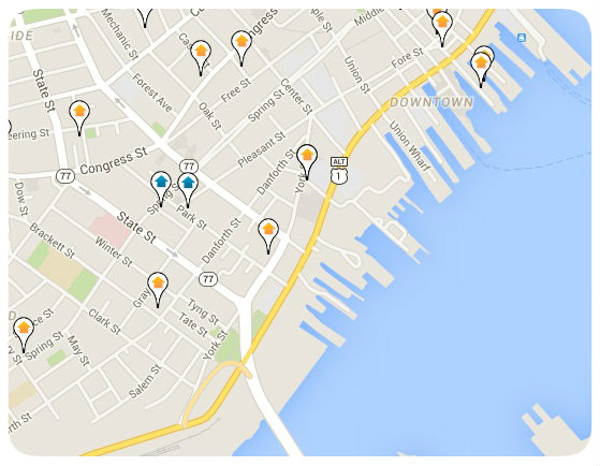 Portland Maine's Old Port Neighborhood is one of the most published destination attractions. Geographically based along the city's harbor port, it is defined by Casco Bay, Franklin Street, Congress Street and State Street. From turn of the century Victorian homes, hip converted industrial space to modern new construction, Portland's Old Port has just about anything one could want for in-town living. Cobble stone streets connect numerous boutiques, restaurants and popular nightlife attractions.